I love calling the day before something, day zero. It's just fun to think of the day before the first day as day zero. So here we are, day zero of my second Whole 30 and I am both confident and nervous. 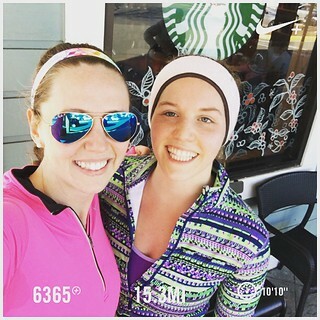 I started the day with a 15.3 mile run with Lauren. I only had 10 on my schedule for the day, but since Amanda had decided not to run, I asked Lauren if she wanted to try for 15 today. We waited until 9am to get started, but it was still pretty chilly. Luckily the dogs needed to go out as well, so we took them for the first 2.5 miles, then dropped them, as well as a layer, off at the house. 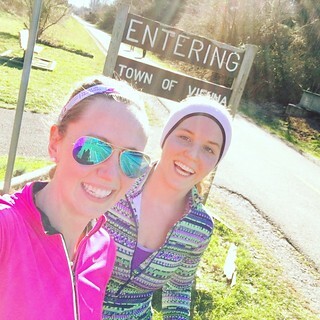 I felt great during our run, but was exhausted after! I pushed through my exhaustion and spent the afternoon doing a kitchen clean-up. 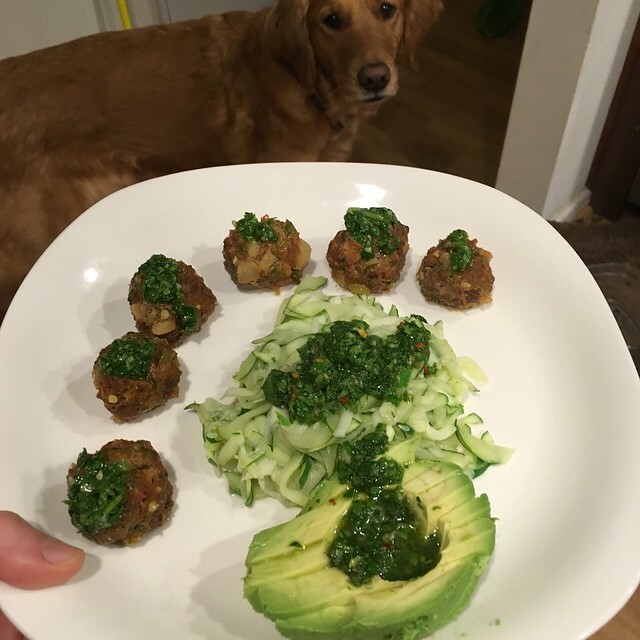 I threw away every sauce/dressing in my fridge that isn't compliant, because I figure they're at least a month (but probably more like 4 months) old, and after 30 more days I might as well buy new ones! I also put away all of my spices and rubs that aren't compliant and inventoried all of the one that I have. Then I shopped. 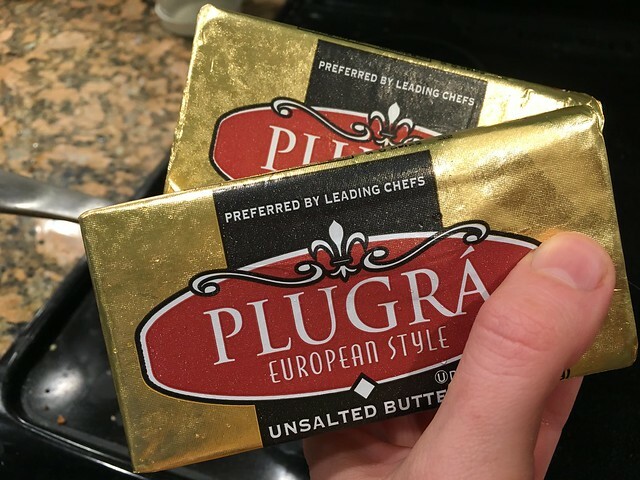 I didn't want to go over to Trader Joe's to pick up ghee, so I bought some unsalted european style butter and made it! Never again! It wasn't hard, but it was time consuming. It's much easier to just buy it! 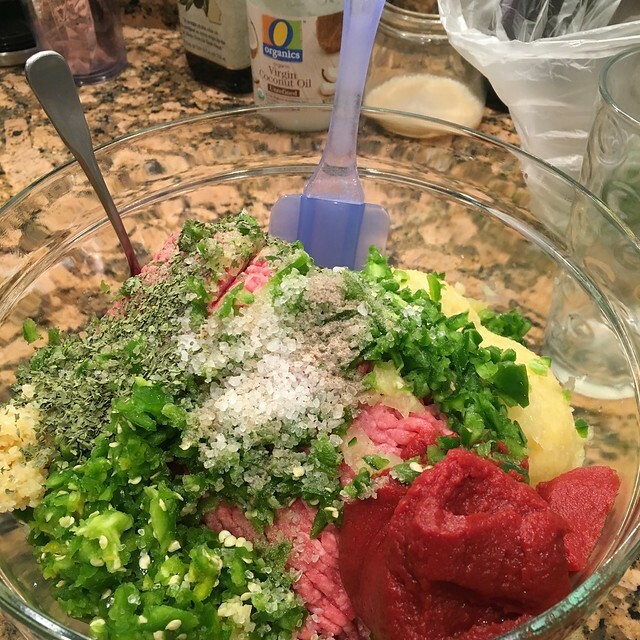 I also got everything to make my favorite meatballs, lemon chive potatoes, mayo, and deviled eggs! 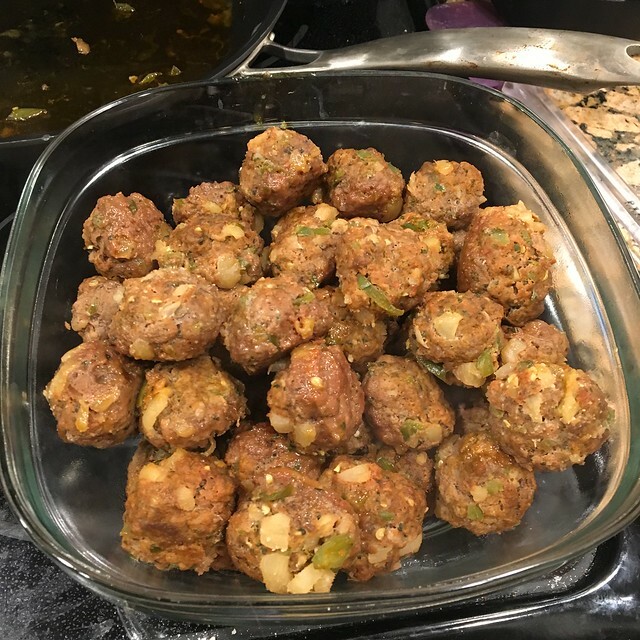 My first Whole 30 meal - zoodle-ghetti and meatballs!